The messianic movements are currently wowing the Christian world again (see Dr. Brown’s resurrection left) with the latest revelation based on the New Testament (NT) book of Revelation. The book of Revelation calls both the Christian god (Jesus), the Messianic god (Yeshua) and the ‘almighty god’, the Alpha (Α) and the Omega (Ω), the first and the last. The latest revelation of course is an equating of the Alpha (Α) and the Omega (Ω), the first and last letters of the Greek alphabet with the first and last letters of the Hebrew alphabet; aleph (א) and tav (ת). The equating of course is no doubt the latest development for those in the Christian and Messianic movements hell bent on converting Jews to one of the many brands of what is essentially ‘Christian’, even though some Messianic movements swear blind they are ‘different’. The benefit of the equating is that a survey of the Jewish Scriptures shows the ‘aleph tav’ (את) or Jesus/ Yeshua is bouncing off nearly every page of the Jewish Scriptures. Many in the Christian and Messianic movements at this point are quite happy to say “see there is your proof for Jesus/ Yeshua” and take this ‘fact’ as a given. The ‘aleph tav’ highlighted in bold tells us who (G-d/ אֱלֹהִים) created (בָּרָא) the heavens (הַשָּׁמַיִם) and the earth (הָאָרֶץ). The grammatical of course is largely ignored and in fact does not appear hardly at all in most web sites of the Christian and Messianic movements. In view of the fundamental grammatical use of the ‘aleph tav’ no wonder the ‘aleph tav’ is found on every page of the Hebrew Scriptures, without ‘aleph tav’ one would not know who is doing what! The Rabbis told R. Joshua b. Levi: Children have come to the Beth Hamidrash and said things the like of which was not said even in the days of Joshua the son of Nun. [Thus:] aleph bet (אב) [means] ‘learn wisdom [aleph binah]…..
Tav (ת) [for] emet (אמת) [truth]: why are the letters of sheker (שקר) close together, whilst those of ‘emet are far apart? Falsehood is frequent, truth is rare. And why does falsehood [stand] on one foot, whilst truth has a brick-like foundation? I.e., each of the letters of sheker is insecurely poised on one leg (Shin (ש) was anciently written with a narrow pointed bottom) whereas those of, emet are firmly set, each resting on two ends, the mem (מ) too resting on a horizontal bar. Truth can stand, falsehood cannot stand. The Christian and Messianic movements’ lack of use of Jewish sources with respect to the Hebrew aleph bet (אב) and its deeper meanings may well lie in the fact that many are insisting that the Hebrew aleph bet (אב) is not the same as it was anciently. Instead some Christian and Messianic movements insist on using what they say is the “Paleo script”. 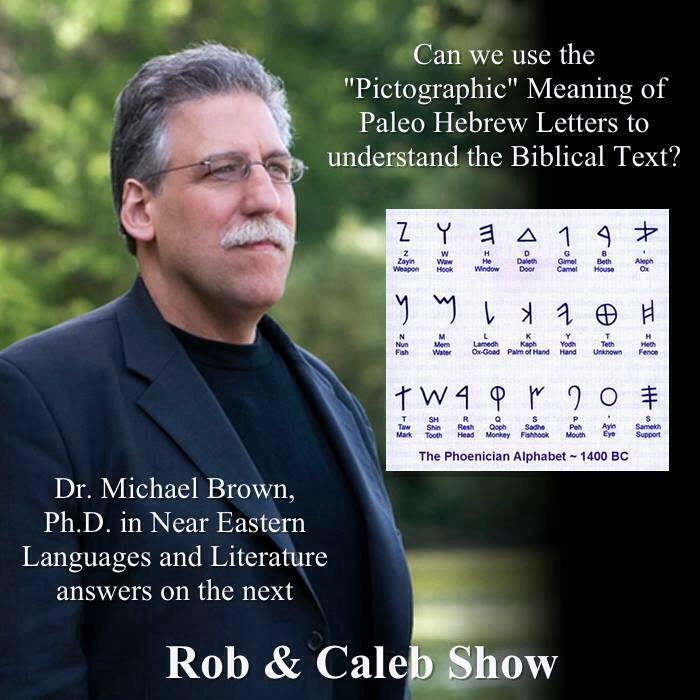 The ignorance and their use of the “Paleo script” often gets mixed with both the Phoenician script and/ the pictographic Proto-Canaanite script. What is often presented for aleph as the “Paleo script”, is the pictographic Proto-Canaanite script’s use of aleph, which is a bull or an ox and for the tav which looks like a multiplication sign (×). Without justification however, the tav often gets mysteriously rotated round forty five degrees to look like a cross (+). The rotation of tav to look like a cross cannot be supported anywhere in documented literature. Of course to the Christian and Messianic movements the aleph tav now has great meaning (? ), despite the inconsistency, failure to acknowledge the grammatical or lack of historical or traditional understanding of the aleph tav. With Jesus / Yeshua glasses on, for Christians and Messianics, Jesus is the aleph tav: (lamb?) bull of God and cross respectively and points once again to the gospel being painted on every page of the Hebrew Scriptures! In the case of the pictographic Proto-Canaanite script, no such script is attested, and illustrations of it are modern inventions (see “How the Alphabet Was Born from Hieroglyphs”. Biblical Archaeology Review, Mar/Apr 2010). It is known in the Kabbalistic literature that the letters of the Aleph-Beis were created first of all. Thereafter, by the use of the letters, the Holy One, Blessed is He, created all the worlds. This is the hidden meaning of the first phrase in the Torah, “In the beginning God created (את)”- that is God’s first act was to create the letters from aleph (א) to tav (ת). One G-d that creates many things alone as opposed to the pagan concept that each thing is created by a god. Hence, the plurality of gods. The reality is that Seventh day Adventists hold to the trinity and messianics to a godhead which are by their nature a plurality of Father, Son and Holy Spirit, God in three persons. The Son (Jesus) creates the world as confirmed by the NT. In contrast, Elohim of Gen 1:1, has plural morphological form in Hebrew, but it is used with singular verbs and adjectives in the Hebrew text when the particular meaning of the God of Israel (a singular deity) is traditionally understood. Thus the very first words of the Bible are breshit bara elohim, where bara ברא is a verb inflected as third person singular masculine perfect. If Elohim were an ordinary plural word, then the plural verb form bar’u בראו would have been used in this sentence instead. An honest use of the words of Rabbi Dov Ber, the Maggid of Mezritch, Adventist and messianics are unable to do because they would have to endorse the validity of Kabbalah and they would also have to consider that the Aleph Bet was created and of course according to the Adventists/ messianics and the NT, Jesus is God, so how could he be created? Rabbinical sources always have deeper levels of meaning to a text. However, messianics fail to understand a problem with ‘messianic’ (mis)uses of rabbinic commentary. The problem is the (deliberate) rejection that each of the four levels (PARDES) of extended meaning of the text are entirely consistent within themselves and most importantly THE GENERAL RULE; that the extended meaning never contradicts the plain meaning of the text (Peshat). Peshat (פְּשָׁט) — “plain” (“simple”) or the direct meaning. In the first instance, using the famous aleph tav (את), the plain meaning is the grammatical, where the aleph tav (את), tells us that G-d created the heavens and the earth. On an allegorical level G-d created the aleph bet and then used the created aleph bet to ‘speak’ the world into existence. There is no contradiction in the argument of the Rabbis in their use of the Sages in their commentary, just a selective lack on the messianics’ part as to how Jews have always read/ wrote their literature. I have been asked to prove that Hebrew word-pictures are utter nonsense, that the pictures represent sounds and not ideas. I could point you to ANY grammar of the Hebrew language and it will confirm this. However, I would be happy to prove it. Take even the simplest example and you can see the word-pictures don’t work. Aleph-Bet [AV-father] = bull of the house > strong one of the house > father. Makes sense, right? The only problem is switch around the letters and you get Bet-Aleph [BA] = arrive, enter. Is that the bull entering the house? LOL! The biggest problem with the word-pictures is they are entirely arbitrary. You can make them say whatever you want them to say. The most ludicrous word-picture I have ever heard is that if you read Yod-He-Vav-He backwards, you get “Behold the nail, behold the hand”. Now why in the world would you read it backwards?! On top of that, Vav actually means “hook”, but “hook” does not fit the theology of those creating word-pictures, so messianics imbue it with the meaning “nail”. This is a major flaw of the word-pictures. To make word-pictures work messianics imbue each letter with numerous meanings. Originally, the Hebrew letters were pictures that represented sounds, not ideas. The Hebrew letters were pictures of one simple thing. However, look at any modern list of word-pictures and you will find all kinds of meanings attached to each letter that have no basis in reality. I created a word-picture myself of the name Yeshua using these lists published by some of the top teachers in the Hebrew Roots movement: Yod – hand; Shin – tooth, destruction; bet – house, became man; ayin – eye, judgment. This is utterly absurd because where do you get Shin meaning “destruction” or Ayin meaning “judgment”?hand Where in the entire Hebrew language do you get Bet meaning “Became man”? However, I don’t need to prove my case, I can just neatly copy the meanings from the lists published by other people who are “experts” in word-pictures. Based on these brilliant teachers we can safely say that Yeshua means: “The hand of destruction that became man to bring judgment.” If we really want to get into the Sod level of interpretation, we can point out that Shin is the first letter in “Satan” and conclude that Yeshua really is: “The hand of Satan that became man to bring judgment.” Is this totally offensive not to mention utterly ridiculous? That’s what “behold the nail, behold the hand” sounds like to Jews! In fact, if you want to guarantee that a Jew will either laugh at you or be offended, tell him Yod-He-Vav-He is really a cipher for Jesus because if you read it BACKWARDS it means, “Behold the nail, behold the hand.” Now prove to me that Yeshua does not mean “The hand of destruction that became man to bring judgment”. If Aleph-Tav really translates as “Yeshua”, then the Messianics have a BIG problem! Gen. 9:22 And Ham, the father of Canaan, saw YESHUA the nakedness of his father, and told his two brethren without. Ex. 8:26 And Moses said, It is not meet so to do; for we shall sacrifice YESHUA the abomination of the Egyptians to the LORD our God: lo, shall we sacrifice YESHUA the abomination of the Egyptians before their eyes, and will they not stone us?